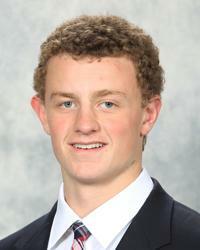 Eichel was awed by his experiences in Russia at the 2013 IIHF Men's World U18 Championship. Photo by Tom Sorensen. When he was 3 years old, Jack Eichel received one of his most cherished presents — a yellow plastic hockey stick and ball. That gift jump-started his hockey career. Eichel looks to take his experience playing up with the U18s into next season. Photo by Dave Reginek. That enthusiasm led to a promising youth career and eventually an invitation to join USA Hockey's National Team Development Program in Ann Arbor, where Eichel just finished up his first season. That transition is never easy, but Eichel understood there would be an adjustment period. “It was tough. Our whole team went through an adjustment period at the beginning of the year,” he said. “ You come to the program and you are thrown into the USHL. It’s tough. I give credit to the guys on the team, the coaches and the staff — we worked really hard. I’m sure we are still adjusting. Eichel took some advice from his dad that really helped him throughout the season. 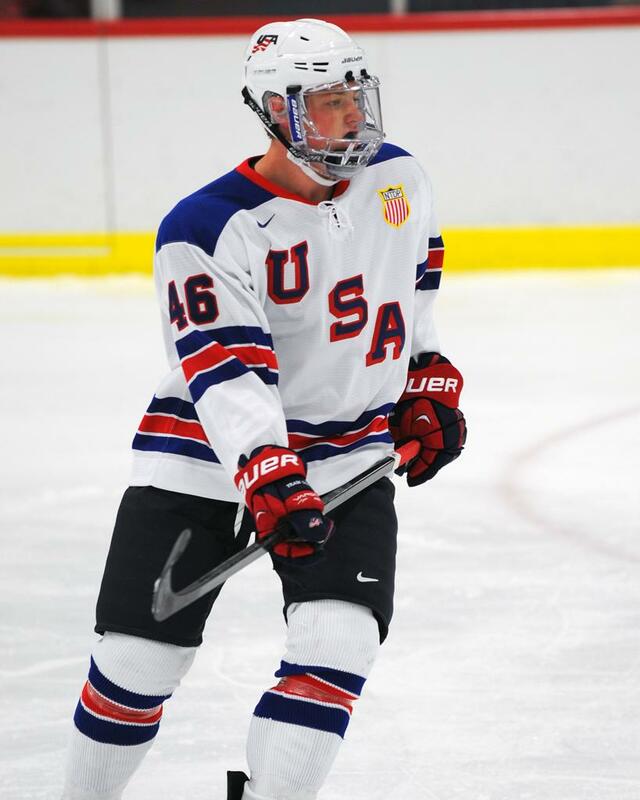 The ups and downs of the season ended on a positive note for Eichel, as he had the opportunity to step up and play with the U.S. National Under-18 squad, including playing at the 2013 International Ice Hockey Federation Men's World Under-18 Championship in Sochi, Russia. Eichel’s favorite memory from the World U18 Championship was the team’s 4-3 shootout win in the semifinals over Russia. “It was the biggest crowd I have ever played in front of in my life, and it was the loudest crowd I have every played in front of,” he said. “It was the biggest stage I have played on. You are in Russia, at the venue where the Olympics are going to take place next year. You are basically defending your country. That feeling is just one reason why wearing the USA sweater means so much to Eichel.